This is probably the hardest shortlist anyone ever had to make. 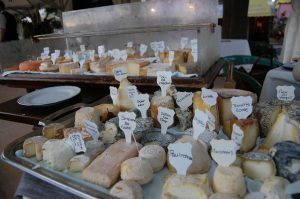 With about 400 different cheeses to choose from (56 of which are classified, protected, and regulated under French law! ), it takes real front for an English person to dare to suggest a top ten. However, it is clearly not reasonable to expect those taking a short trip to France to know where to start either so I am having a stab at it as I am, at least, a committed and regular cheese eater with some relevant experience. I have never had a sweet tooth so dessert never takes my fancy but moving to France has given me a whole new dilemma when it comes to the eyes bigger than tummy conundrum (although tummy is helpfully trying to expand to meet the eye’s expectations). The availability of cheese as a third course in restaurants is so common and the cheeses are so sublime, it’s hard not to develop a serious cheese habit here. I initially came to France to work as Chef/Proprietor on a hotel-barge where we served 17 different cheeses every week as part of our inclusive gourmet meals. It was a very luxurious cruise and there was simply no ceiling on food costs so I enjoyed seven years of choosing and serving the best and most expensive cheeses on offer. Since selling the barge and working with a somewhat more restricted food budget, I have also discovered some really stunning cheeses that offer great value for money. If you only have a short time to discover the cheeses of France, here is my top ten split into “Hard, Soft and Blue”. I’m not a fan of goat’s cheese (it smells of goats to me – yuk!) and the famous French sheep’s cheeses are great but not as great as my top ten which are all made from good old artery-clogging cow’s milk. Probably the best cheese in France but likely to cause offence to inexperienced cheese eaters due to the strong flavor and pungent whiff! 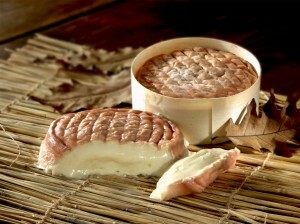 Made from unpasteurised milk and washed in Marc de Bourgogne (a Burgundy spirit). It is typically fairly expensive and you usually have to buy a whole cheese so it’s a good idea to choose it from the cheeseboard in good restaurants whenever it appears. 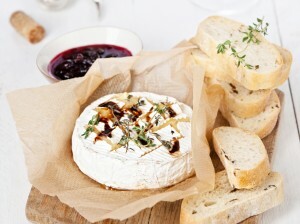 The most famous Brie is Brie de Meaux and it can be spectacular when perfectly ripe but the lesser known Brie de Nargis and Brie de Montereau from a little further south are typically fuller in flavor. Brie de Melun is also fabulous but whatever Brie you buy, try and buy it from a specialist market stall or shop because they usually find the perfect balance between ripe and ruined (which the supermarkets often don’t). For reasons of food safety, many modern cheese makers make Camembert from pasteurised milk (especially ones made for export) and it can be very dull indeed. The AOC variety “Camembert de Normandie” is required by law to be made only with unpasteurised milk and a good, ripe one is sublime. 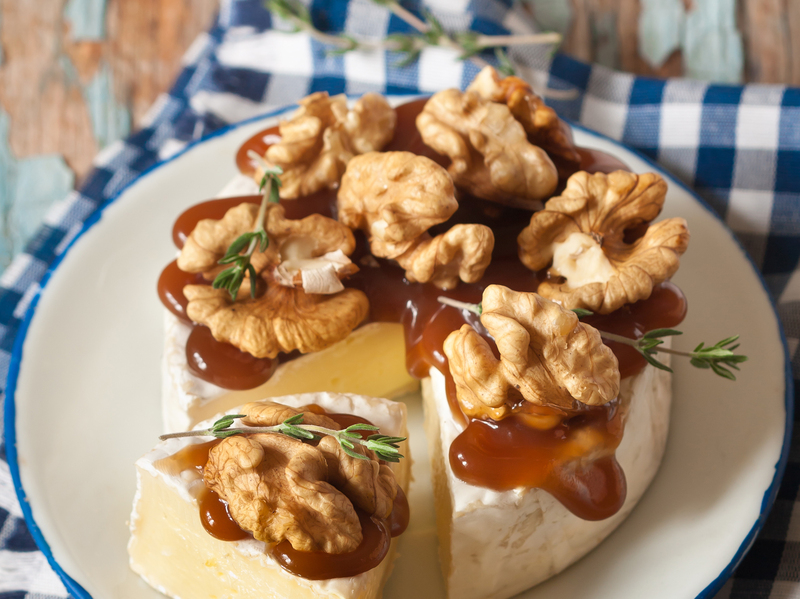 Even the top Camembert is relatively inexpensive for a cheese that offers such flavor but again, buying it from a specialist is always a better idea than picking it up in a supermarket aisle. 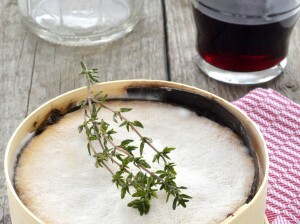 Only on sale between September and May (when it is ripe and ready to eat) this runny cheese from the Jura region just begs to be eaten at room temperature with some French bread and washed down by a soft, juicy red wine. In restaurants, it is often served warmed in its original wooden box and eaten like fondue – if you see that on a menu you simply must order it. This is one of those unusual exceptions to the rule. 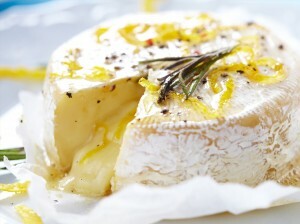 A cheese that is mass produced, sold in supermarkets (straight from the shelf), very inexpensive and reliably divine! 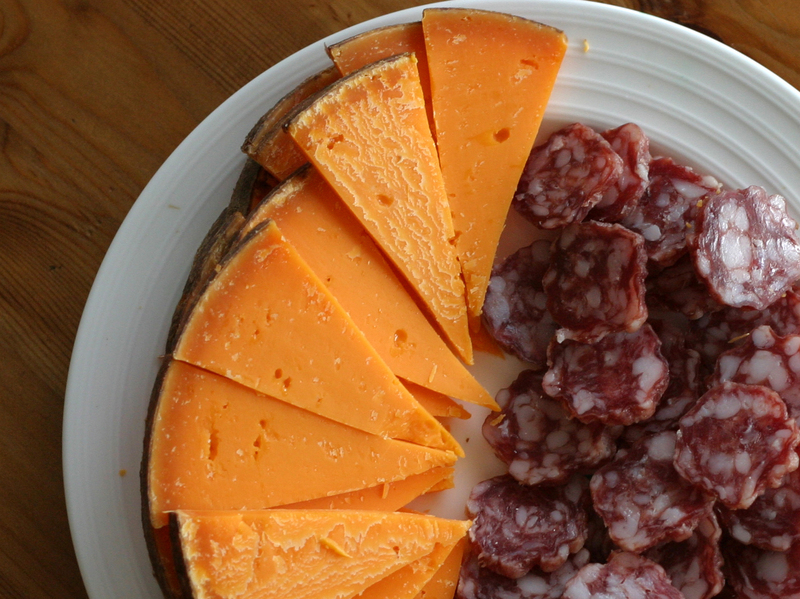 Mimolette was originally made by the French to rival the very popular Edam from Holland. To differentiate it from Edam, it was coloured orange. The young (Jeune) and semi-young versions (demi-vielle) are pretty much like Edam and are ok for breakfast. The mature (Vielle) and extra-mature (extra-veille) are a bit tricky to cut and chew but absolutely bursting with flavour. Needless to say the mature versions are significantly more delicious and significantly more expensive. Even if you don’t eat cheese, it is worth buying the extra mature version just to watch the seller trying to cut a lump off the granite like ball of cheese! Comté has the highest production of all French AOC cheeses, around 40,000 tonnes are produced annually. However, not all Comté is created equal and again, the mature version is where you will find the flavor. Save up or take out a loan and buy a slice from a cheese that has been matured for the longest time you can find (certainly over 12 months and preferably over 24). A semi-soft cheese with an unusual, nutty flavor that is really a bit addictive. The Jura and Doubs versions both benefit from appellation d’origine contrôlée (AOC) status. 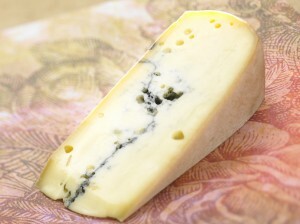 Non-AOC Morbier exists on the market but the AOC version is vastly superior with a strong, rich flavor and interesting, bitter aftertaste. 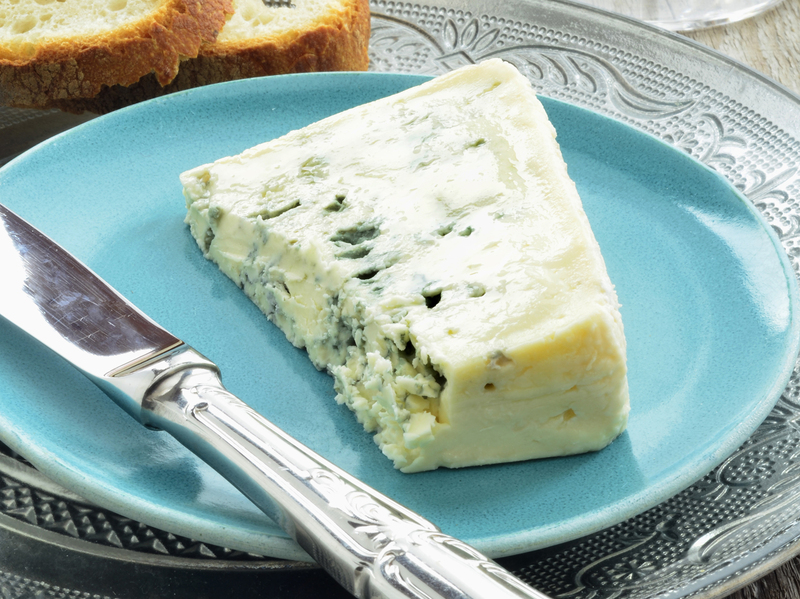 A really tasty blue, often likened to Roquefort but this cheese is made from cow’s milk whereas Roquefort is sheep’s milk and I think Bleu de Causses has a creamier flavor as a result. Like Roquefort, it is matured in limestone caves (in The Gorges du Tarn) but good cheese sellers stock it all over France and it is very reasonably priced. A popular export from the Auvergne region. St Agur is a very recently developed cheese and has only been around since 1988. 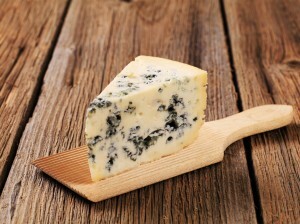 For such a new cheese it incredibly popular and deservedly so because it is simply delicious. The strength of flavour varies depending how old it is and it is always delicious but when perfectly mature it is simply outstanding (it is better bought from a specialist who will know exactly how long to keep it). It is made from pasteurised milk but tastes like a really old-school, artisan blue and is even reasonably priced. That’s it, my top ten. I might have been a bit damming about supermarket cheese and I would always gravitate towards weekly markets for my cheese (picking the cheese stall with the longest queue of locals). However, the big hypermarkets (where there is a manned cheese counter) are also very good and certainly more likely to sell you a great French cheese than any you can buy in any other country so don’t be afraid to pick up some cheese whilst in the supermarket too. 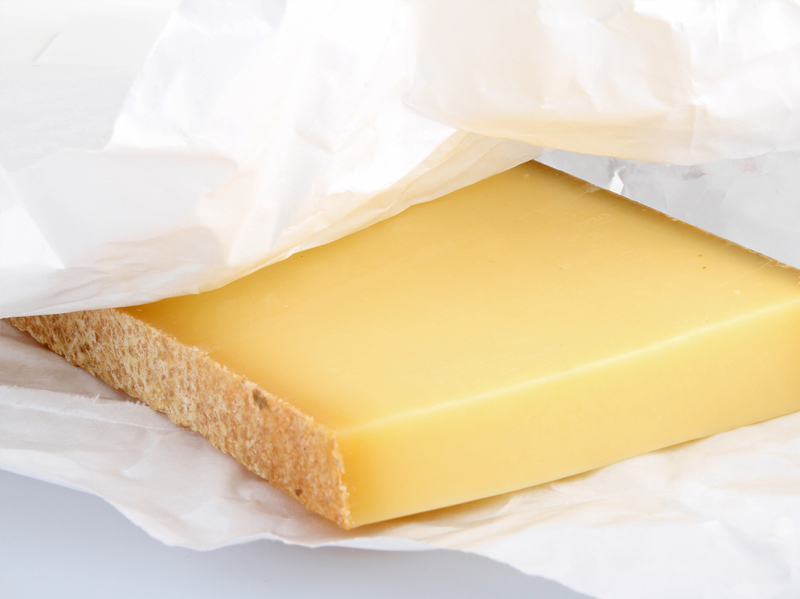 If you are travelling in a motorhome or campervan with others, make sure everybody in the party has agreed to store the cheese in the fridge before you buy it or it may be relegated to travelling on the bike rack (especially if it is a soft cheese)!